Every second Sunday night, Sandwich Time volunteers go out to bars and nightclubs in Newcastle, handing out sandwiches, having a laugh and spreading joy throughout the town. Sandwich Time began in 2012, with the idea and purpose of showing love and kindness to the local community, with no strings attached. It was started by a couple of girls who filled backpacks with homemade sandwiches.  It has since become a part of Macquarie Care. We believe everybody is worth it! By chatting with people and building relationships, we hope to show them that they are cared for and valued. By brightening up people’s nights, the risk of violence is reduced. Making leaving the nightclub a safer environment for everyone out enjoying themselves.